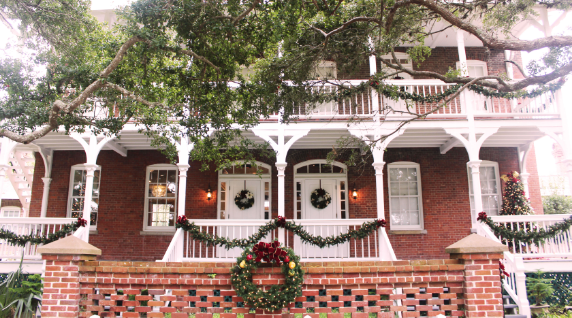 SAINT AUGUSTINE – Thanks to the amazing volunteers the St. Augustine Lighthouse & Maritime Museum buildings and grounds are all dressed up for the 2018 holiday season. It’s the perfect time of year to enjoy cooler temperatures and holiday decor! … All of it organized by Darlene Humphreys! Locally made items such as holiday ornaments, art and photography, hot sauces, soaps and other handcrafted gifts ideas are available. Other Museum quality items include barometers, calligraphy sets, books by local and regional authors, and St. Augustine Lighthouse replicas. On Sunday, Nov. 25, nearly 1,000 Museum Stores representing all fifty states, twelve countries, and four continents will offer relaxing, inspired shopping inside your favorite museums and cultural institutions. Museum Store Sunday offers a special shopping experience in one-of-a kind stores, showcasing broad assortments of highly curated, unique, mission-specific gifts.